Brexit will have little impact in the short term as the UK terms of exit are negotiated. Limited opportunity for cross border European co-operation would add cost, complexity and uncertainty to insolvency and restructuring situations. Continued mutual recognition of proceedings is a high priority, although achieving this involves a number of complications. The UK has voted to exit the EU. Find out what the potential implications are for the insolvency and restructuring sector. The result of the EU Referendum has been declared and a majority of the UK population has decided that Britain should leave the EU. So what are the potential implications for those working in the insolvency and restructuring sector? The immediate answer is that very little will change in the short term. Under Article 50 of the Lisbon Treaty, exit of a Member State occurs at the earlier of an exit agreement being signed or 2 years after notice is given. Of course we don’t yet know when such notice will be given (and there is legal argument over what is meant by notice and hence when the clock will start to tick) and therefore it is not possible to predict any timescales for changes. 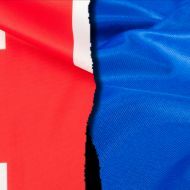 Whilst it is possible that either the Norwegian or Swiss models could be used going forward, it is considered by most commentators that the UK will negotiate its own exit agreement with the European Union. Currently, insolvency proceedings in the UK and other any Member State (excluding Denmark) are subject to the EC Regulation on Insolvency Proceedings 1346/2000. The Regulation imposes a framework of rules setting out where insolvency proceedings can be opened, the laws applicable to matters arising in such proceedings, and the recognition of the proceedings in other Member States. The primary implication therefore is that Brexit without terms of an exit agreement, would result in the Regulation no longer being applicable to the UK. UK insolvency proceedings would no longer benefit from automatic recognition across the EU. Similarly, insolvency proceedings commenced in EU Member States would not benefit from automatic recognition in the UK. From a restructuring and insolvency perspective, it appears logical that both the UK and the EU would benefit from some form of recognition of UK proceedings under the EC Regulation. The extension of the Regulation to a non-Member State would however represent a significant departure from its current structure adding further complexity. As any exit agreement will require to be approved by each of the remaining Member States it is far from certain that a continuation of the EC Regulation could be achieved. If it were not possible to secure a continuation of the EC Regulation as part of an exit agreement, then what are the possible further options to facilitate UK and EU insolvency co-operation in the future? The UK has implemented the UNCITRAL Model Law in the form of the Cross Border Insolvency Regulations 2006. This means that insolvency office holders from the EU who wish proceedings to be recognised in the UK could apply for recognition under the 2006 Regulation, bringing many of the benefits of recognition under the EC Regulation. However, the only other Member States that have signed up are Greece, Poland, Romania and Slovenia. Therefore, in any most EU Member States, UK office holders would need to rely on getting recognition either under local law or would have to open territorial insolvency proceedings in every state in which assets are located. In effect UK office holders would be reverting to the legal processes for international recognition which were conducted prior to the introduction of the EC Regulation. Provisions within section 426 of the Insolvency Act 1985 could be extended to allow recognition of court orders made in EU Member States in relation to insolvency proceedings to be recognised in the UK. This would facilitate enforcement of EU Member State insolvency proceedings in respect of assets located within the UK. At this moment in time there can be no certainty over how Brexit will be achieved. Schemes of arrangement do not fall within the scope of the EC Regulation and would remain available to a company as long as it has a sufficient connection to the UK. Before a UK Court will exercise its discretion to sanction a scheme, it would need to be satisfied that the scheme will be recognised in those jurisdictions where the creditor may challenge it. This might be harder to achieve post Brexit. At this moment in time there can be no certainty over how Brexit will be achieved. The implications for those working in insolvency and restructuring is equally uncertain and it is likely to be some months before there is any clarity on the direction of travel and how this will change the landscape for restructuring and insolvency. The EC Regulation regime reduced uncertainty, complexity, cost and improved outcomes for creditors. In cross border european insolvencies there was benefit both in terms of the UK’s jurisdiction to open certain insolvency proceedings and recognition of those insolvency proceedings across EU Member States. 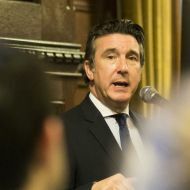 Without a mechanism to continue in a similar manner, it is likely that the UK’s appeal and reputation for cross-border insolvencies and restructuring on the international stage will be diminished. As a result, corporates and individuals could migrate COMIs out of the UK to other EU Member States, to secure automatic recognition of main proceedings across the EU with a potential impact on the UKs productivity and economy. It might even deter counterparties from trading with distressed businesses in the UK. We would therefore encourage the UK to negotiate hard to continue its participation in the EC Regulation regime. It should of course be highlighted that the European Commission are currently evaluating consultation responses on changes to the EU insolvency framework. With or without Brexit, the restructuring and insolvency landscape in the UK in relation to the rest of the EU Member States would be changing in the years ahead. It’s change will now just take a different course.